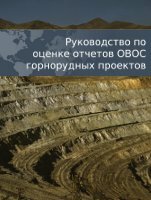 Most countries require an environmental impact assessment (EIA) before giving the green light to a mining project. EIA processes provide a valuable opportunity for citizens to participate in decisions about mines. The problem is, project proponents often submit long, complex EIA documents that are incomprehensible to lay people. 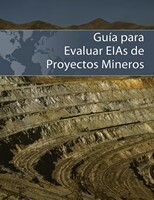 We hope this Guidebook for Evaluating Mining Project EIAs will help grassroots advocates and communities understand mining EIAs, identify flaws in mining project plans, convince decision-makers to reject ill-conceived mining projects, and explore ways that proposed mining projects could be made socially and environmentally acceptable. The Guidebook was produced in 2010 by a team of experts at the Environmental Law Alliance Worldwide (ELAW), including ELAW Board Chair Dr. Glenn Miller, Director of the Graduate Program in Environmental Sciences and Health at the University of Nevada at Reno. ELAW has helped partners around the world evaluate dozens of EIAs for proposed mining projects. The Guidebook consolidates what we have learned and points to many critical resources for communities seeking to make their voices heard about proposed mining projects. If printing out the Guidebook poses a hardship, copies are available by request. Please send your request to mark[at]elaw[dot]org.